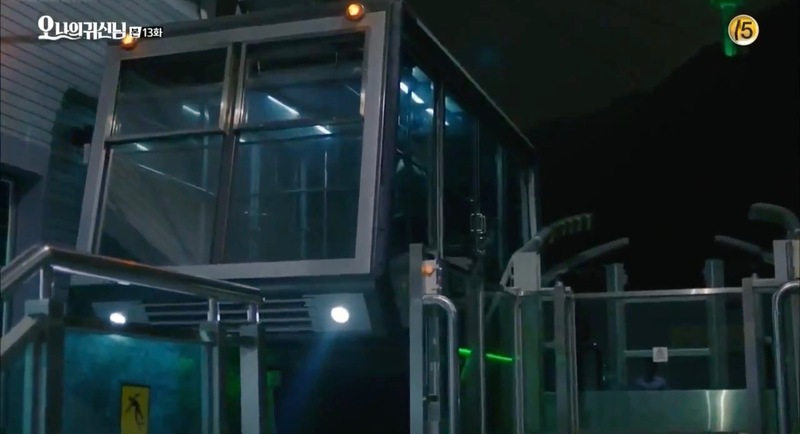 Daniel (Jung jin-young of B1A4) takes this cable car when exploring Seoul in episode 1 of web-drama Wind-Bell / Punggyeong Scenery (풍경) (Naver TV, 2018) to visit Namsan Tower. 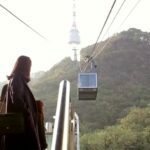 Heo Im (Kim Nam-gil) and Choi Yeon-kyung (Kim Ah-joong) take the Cable Car to Namsan Tower in episode 15 of Live Up To Your Name, Dr. Heo/Deserving of the Name (명불허전) (tvN, 2017). 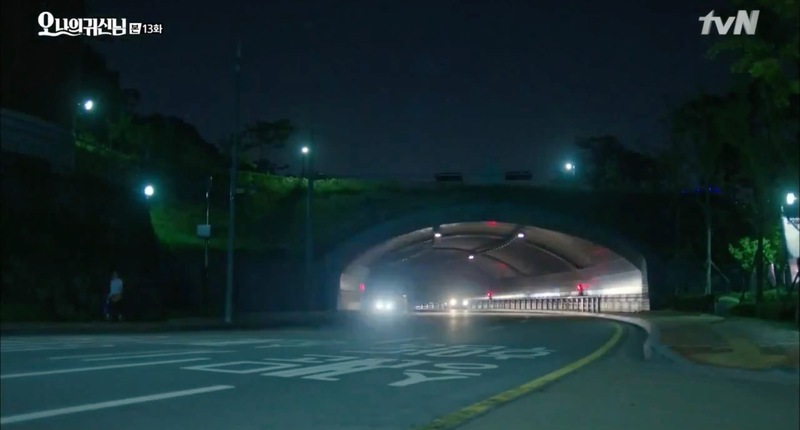 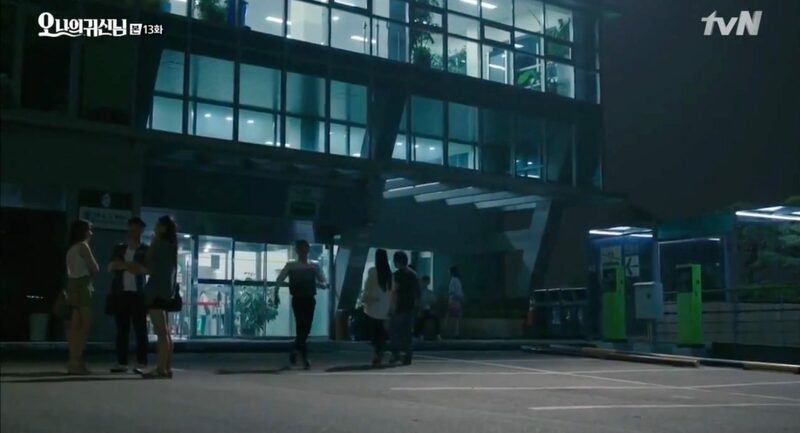 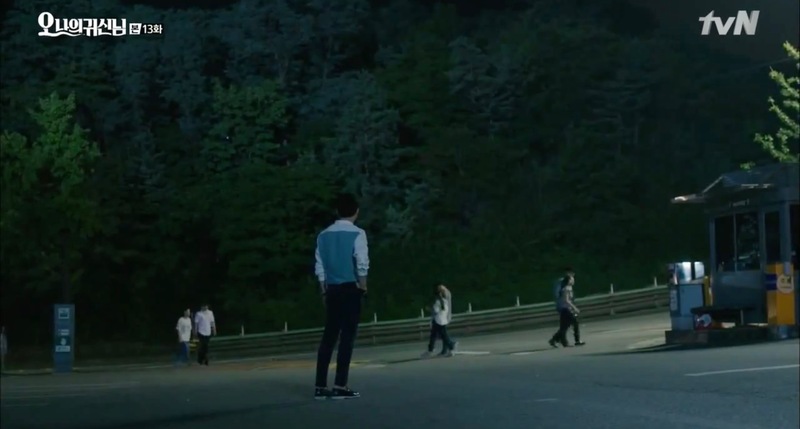 Kang Sun-woo (Jo Jung-seok) and Na Bong-sun (Park Bo-young) also take the cable car but to descend from Namsan Tower at the end of episode 12 and the beginning of episode 13 of Oh My Ghostess/Oh My Ghost (오 나의 귀신님) (tvN, 2015). 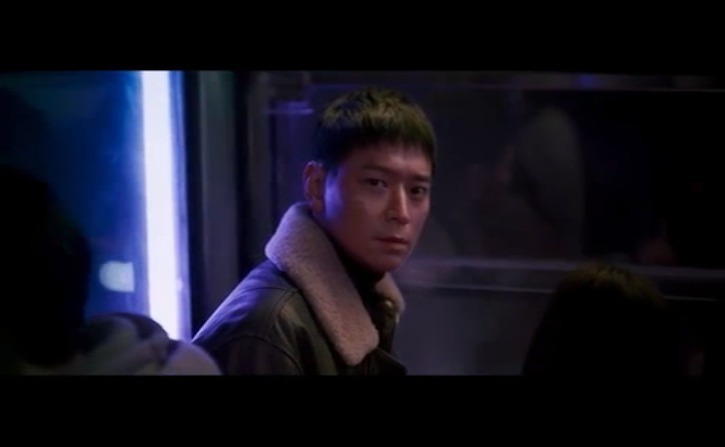 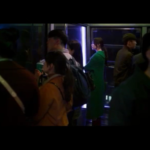 It’s in this cable car that Bong-sun takes the courage to tell Sun-woo that she is possessed by a ghost and it’s not her he actually fell for. 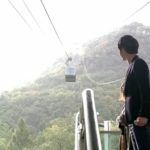 She runs away once the cable car descends, and we see Sun-Woo running out of this station in search of her. 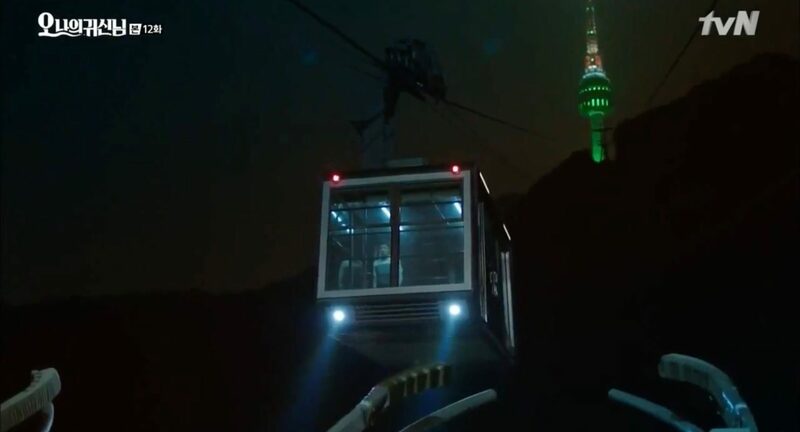 Yong Tae-yong (Park Yoo-chun) and Hong Se-na (Jung Yoo-mi) also take the cable car in episode 10 of Rooftop Prince/Attic Prince (옥탑방 왕세자) (SBS, 2012) to enjoy the night view from the Namsan Tower; we see them waiting at the top to descend. In episode 17 of Can’t Lose/Hate to Lose/ Can’t Live With Losing (지고는 못살아) (MBC, 2011), Eun-jae (Choi Ji-woo) and Hyung-woo (Yoon Sang-hyun) both individually take the cable car to meet up at Namsan Tower. 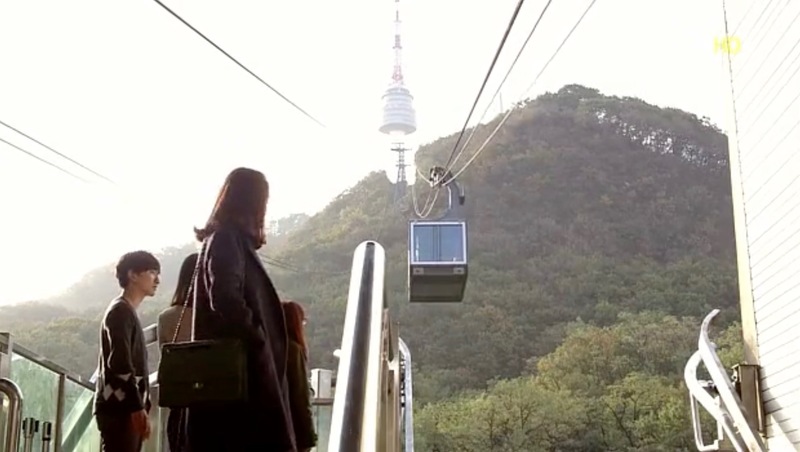 Jang Joon-Ha (Namgung Min) brings his half-sister Bong Woo-Ri (Hwang Jung-Eum) here in episode 16 of Can You Hear My Heart (내 마음이 들리니) (MBC, 2011), saying he always wanted to take this cable car. 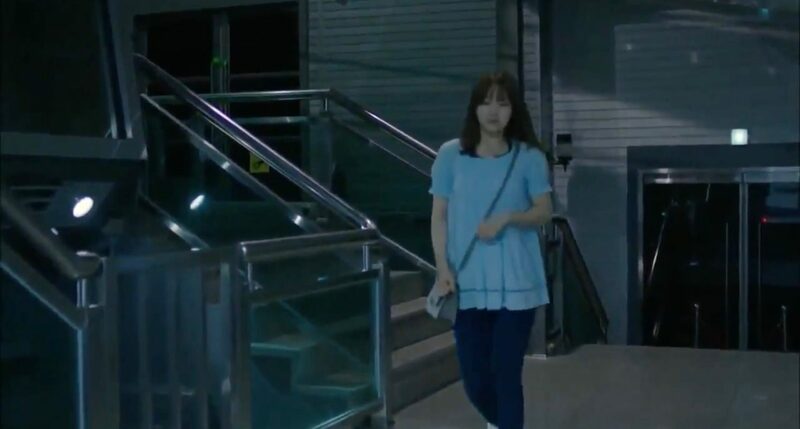 Tickets in hand, he comes back but notices that Woo-ri is absent minded and when she asks if he has already bought the tickets, he hides them and denies it knowing that she will probably need to leave soon. 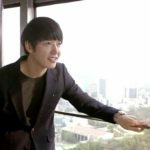 The probably most well known scene at the Namsan Cable Car is Gu Jun-pyo (Lee Min-ho) and Geum Jan-di (Goo Hye-sun) spending a night together there after being locked up in one of the cars, in episode 4 of Boys Over Flowers/Boys Before Flowers (꽃보다 남자) (KBS2, 2009). 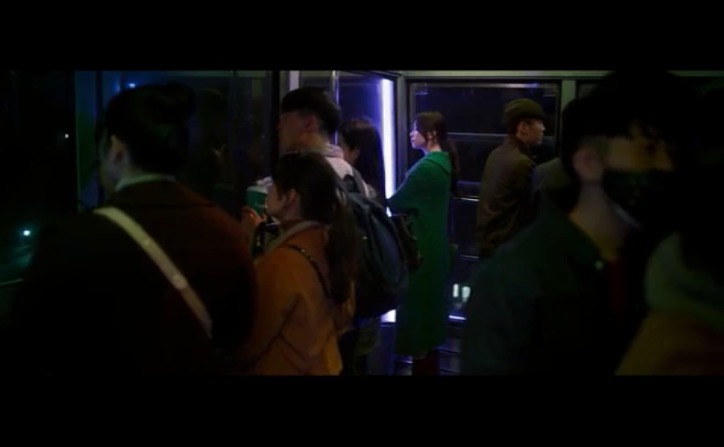 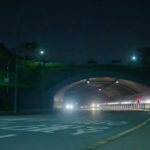 Im Joong-Kyung (Kang Dong-won) is meeting Lee Yoon-Hee (Han Hyo-joo) to return the diary of the latter’s sister but they coincidentally take the same cable car on the way to their meeting place in Illang: The Wolf Brigade (인랑) (2018). 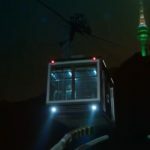 Namsan Cable Car [남산 케이블카] is South Korea’s first cable car, and is considered one of the most famous tourist attractions of the country. 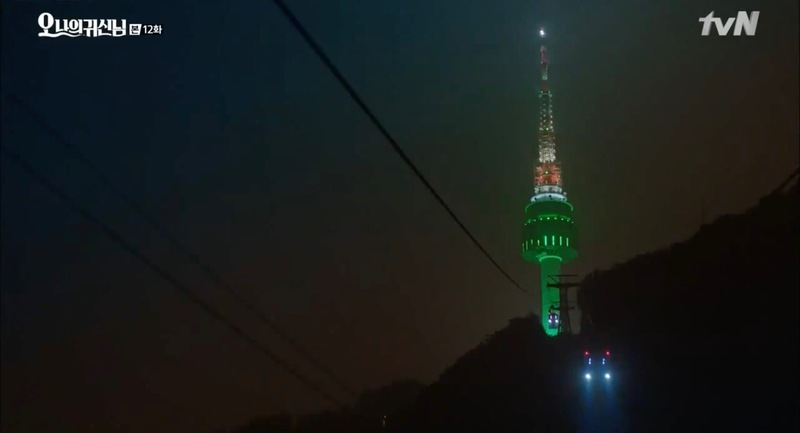 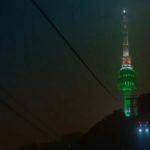 It runs from the Namsan Mountain’s base, up to the very top, where the famous Namsan Tower is. 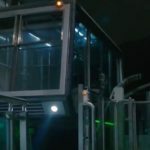 Namsan Cable Car station is located in Seoul’s neighborhood Namsandong 2(i)-ga [남산동2가] in the Jung District [Jung-gu/중구].